We are extremely delighted and feeling highly excited for serving food to richest Indian on earth and Indian face inWe are extremely delighted and feeling highly excited for serving food to richest Indian on earth and Indian face in world business, the real gem honourable Shri Mukesh Ambani and his wife highly respectable philanthropist Mrs Nita Ambani during their stay at Salzburg.We also feel greatly honoured for doing flight catering during their journey back.It was the biggest compliment for me and my restaurant Tajmahal. for giving us honours by giving opportunity for my family photo with them.Looking forward to serve them again & again.Getting appreciation from such a big couple is like lifetime achievement for us. The Jewel of India in the middle of salzburg.An extensive menu of your favourite curry dishes Veg/ Nonveg served by friendly, english-speaking staff. A large wine and beverage menu offers international and Local drinks as you sit under the Great arches of Tajmahal ( almost ) Great Atmosphere. 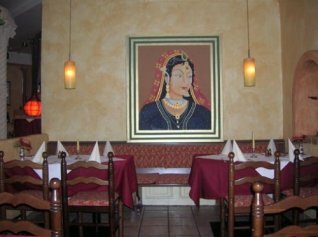 Taj Mahal serves a variety of savory recipes from India’s rich tapestry of culture and culinary tradition. Every dish is meticulously prepared in authentic Indian home style using only natural spices and ingredients. We never add preservatives as a result Taj Mahal’s many delectable dishes are lean, low in fat, high in fibre and healthy. All our meals are prepared fresh and made to order. Please tell your server when ordering if you prefer food prepared mild, medium, hot or extra hot. We also offer take away service. Do ask for the take away menu.